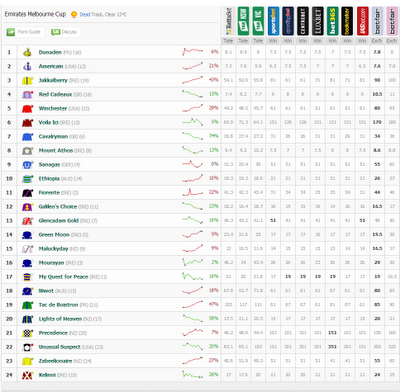 The early TAB figures are always an important guide for the Cup, here's a screenshot from PuntersParadise a few minutes ago. Left three price columns are the totes for the non-Aussies. Click on it for the full-size image.